In a large pitcher combine frozen strawberries, frozen limeade, water, agave nectar, tequila, orange juice and sprite. Stir. In a small dish, combine equal parts margarita salt and sugar. Dip the rim of your glass in the sugar & salt mix, fill cup with ice and punch. Garnish with strawberries and limes. 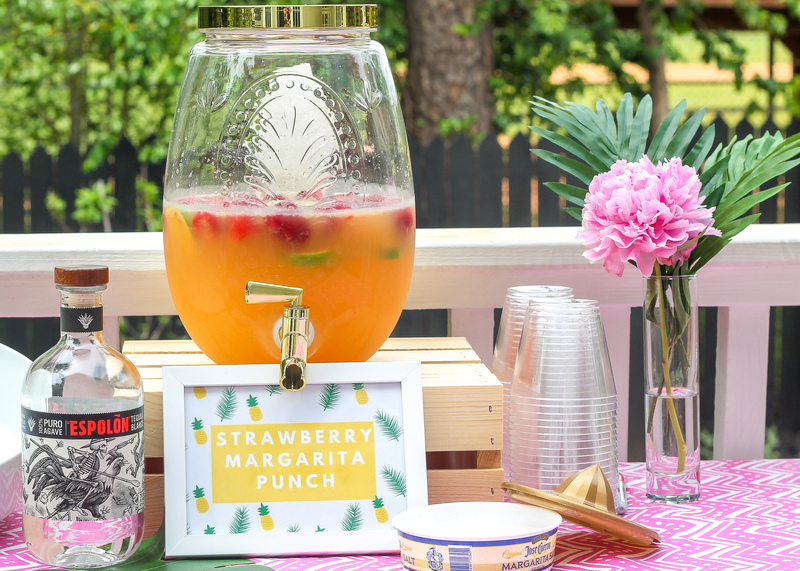 – To keep the punch chilled outside in the sun, in addition to frozen strawberries I froze fresh sliced lemons and limes in a cupcake pan to create large ice cubes. – Use good quality tequila. It makes a huge difference. I used Espolòn Blanco tequila. 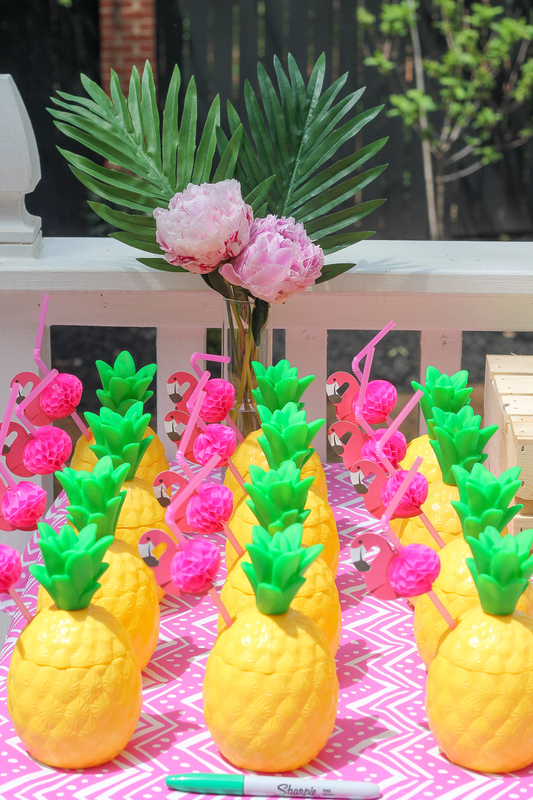 – For extra fun, serve drinks in pineapple cups with flamingo straws. SO cute and yummy! Perfect summer cocktail! Love this! Can you please share where you got the cute little sign? These look amazing!! Can’t wait to try the recipe! This looks festive and delicious! 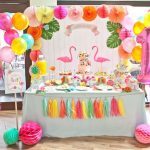 How sweet was this? Thinking of cutting the sprite with soda water. Thanks! In case anyone is wondering, I omitted sprite and used seltzer water and a cup of Cointreau and it was pleasantly sweet!